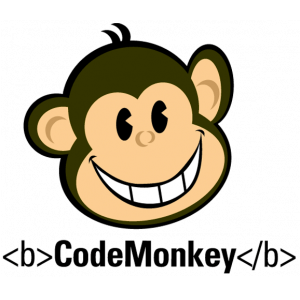 Coding for Kids – 5 Great Sites! The following post is actually a page on my teacher website at school. I thought I’d share it here, too! These days, so many kids are interested in learning how to code. To them, it’s a game and a fun challenge that involves patterns, problem solving, and creativity. Coding to create programs and apps is something that will be a critical part of the future, but it’s not yet a formal part of our elementary curriculum. 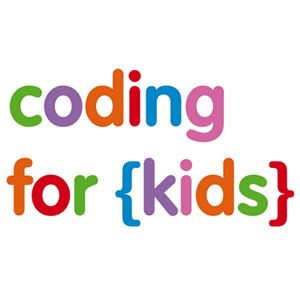 I firmly believe in its relevance, and so I’m putting some helpful information and links here for kids and parents who may want to explore the wonderful world of coding at home! Scratch – Scratch is a free educational programming language that was developed at M.I.T.. It’s been designed to be fun and easy to learn. 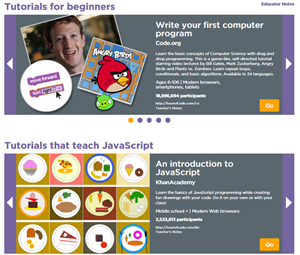 Scratch has tools for creating interactive stories, games, art, simulations, and more. Scratch even has its own paint editor and a sound editor built-in. In Scratch, users drag these blocks from a block palette and attach them to other blocks like a jigsaw puzzle. Structures of multiple blocks are called scripts. This method of programming (building code with blocks) is referred to as “drag & drop programming”. There is an onscreen step-by-step tutorial on how to get started that makes learning easy for kids. Note: This past summer, a Scratch Jr. version came out for iPads. It’s a similar program designed for even younger kids. What a great to get our littlest ones started in coding! Code.Org – The philosophy of code.org is that everybody should be able to code and have access to learning those skills needed. 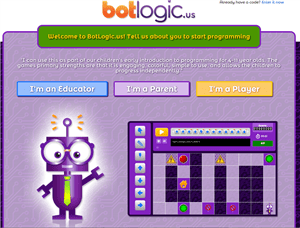 Their website suggests that children as young as 4 can learn to create their own programs! This site also uses “drag & drop programming” and has fabulous instructional videos in their “LEARN” section (think Mark Zuckerberg & Bill Gates, among others!) They also endorse an amazing movement called “An Hour of Code”…Join the largest learning event in history, Dec 8-14, 2014…The Hour of Code is a global movement reaching tens of millions of students in 170+ countries. Anyone, anywhere can organize an Hour of Code event. One-hour tutorials are available in over 30 languages. No experience needed. Ages 4 to 104. Tynker is a really cute and very good that teaches coding to youngsters, but they have now started charging $50 to enroll in each course. They offer two courses (beginner and intermediate) for at-home use. If your child gets REALLY into coding, I do believe this may be a site in which to consider investing.